Zines with illustrations and performance scripts are a major part of what Do It Theatre do. Our Zines are usually created to be read in our unique installation/performance spaces, however with this new Mini-Zine series we are changing the format. We are creating and publishing a set of Mini-Zines that can be read and enjoyed in a series of specific outdoor and indoor locations – or alternatively you can read them whenever you like. The idea is to experiment with performance as text. The Mini-Zines are a combination of text, illustrations and comic books and tackle a variety of different issues. You can be these mini-zines at our Zine Shop. 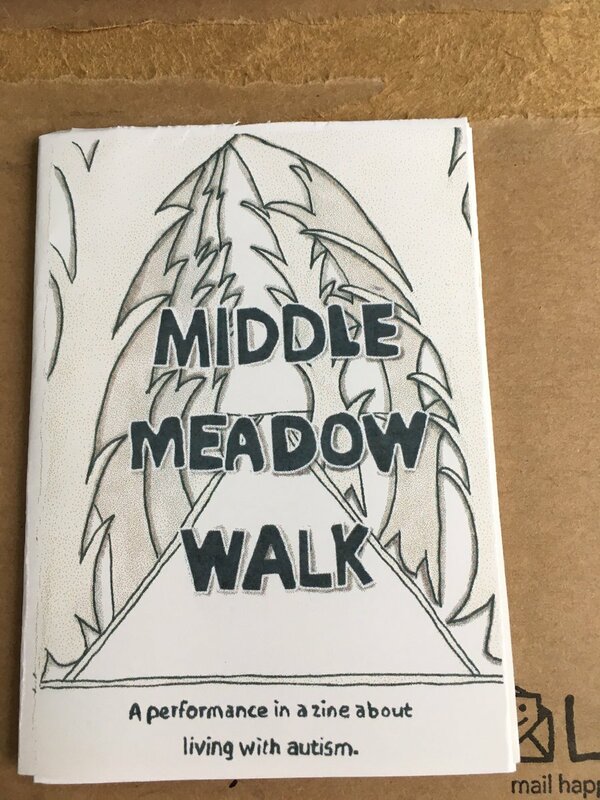 Information on Mini-Zine 1 – Middle Meadow Walk is below. More Mini-Zines will follow in the future. “There are many streets in Edinburgh that serve no purpose” Middle Meadow Walk is a pathway in Edinburgh that runs through a parkland area known as The Meadows. At times it can be quiet and at other times it can be busy with people walking their dogs or out enjoying the sun. 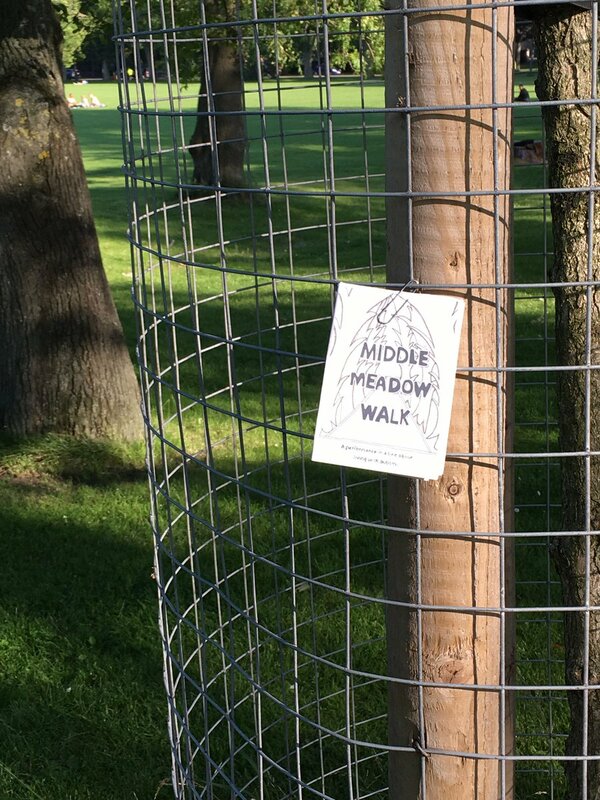 Middle Meadow Walk is a story that takes you out of yourself. It gives you space to think, relax and then act. The story takes place at Middle Meadow Walk, but if you cannot make it to that location, you can read it wherever you like. The Middle Meadow Walk Mini-Zines will be distributed throughout Edinburgh during the Edinburgh Fringe Festival 2017. Look for it at various venues and if you find one, please read it and take it home. It is not a flyer for a show. It is the show. After the Fringe Festival the Mini-Zine for Middle Meadow Walk will be available to download here. 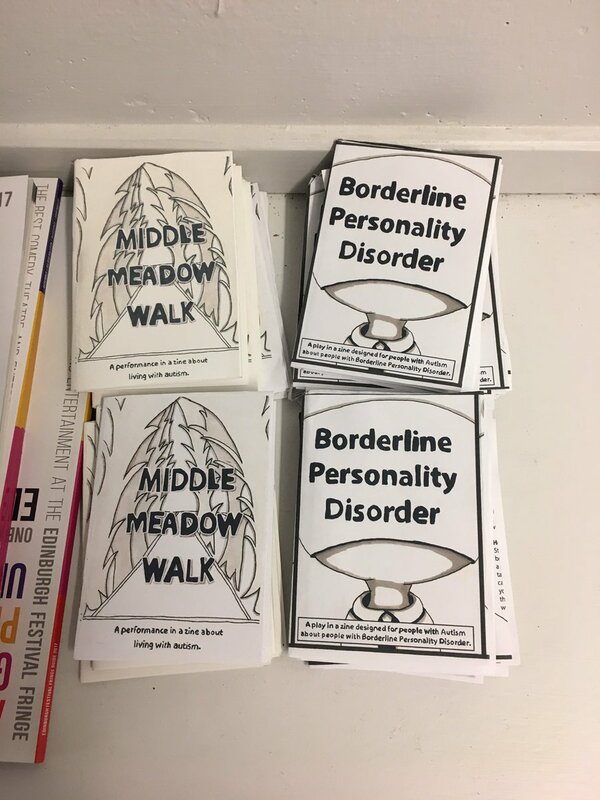 This mini-zine looks at the condition of Borderline Personality Disorder and gives a personal account of the emotion of living with this affliction. It is a short 8 page performance documentary in a zine. The performance takes place in front of a mirror and requires the participant to read the zine to themselves or out loud (it is their choice). 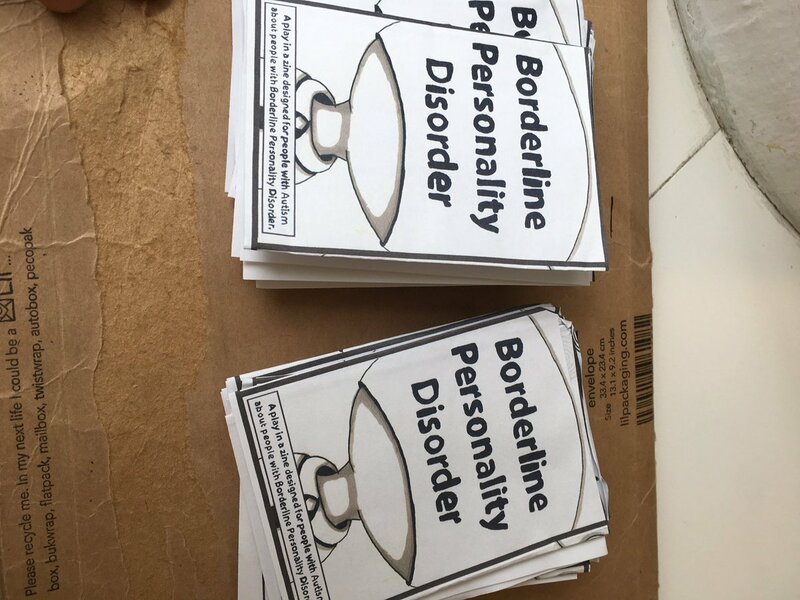 Borderline Personality Disorder is the second performance in the Do It Theatre mini-zine performance series and will be available at various venues during the Edinburgh Fringe 2017. Check on twitter to stay up to date with where and when. 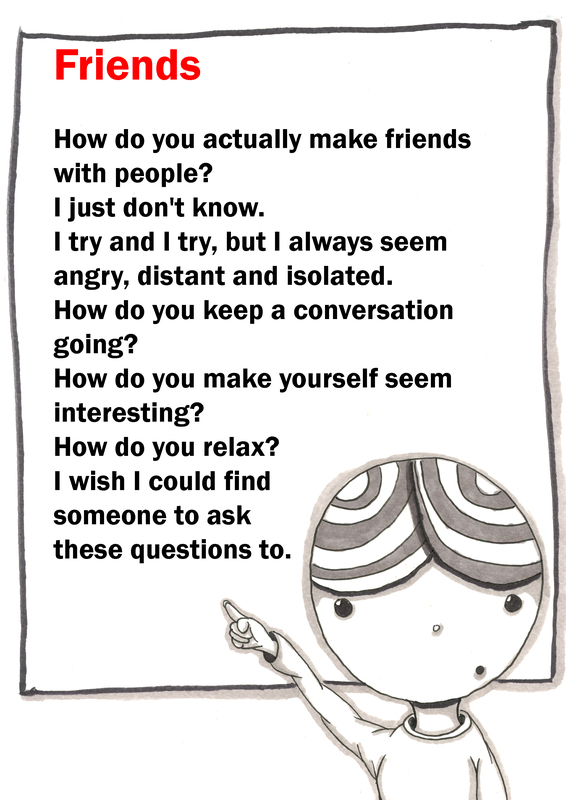 This mini-zine is a performance in a zine that looks at loneliness when you live with autism. 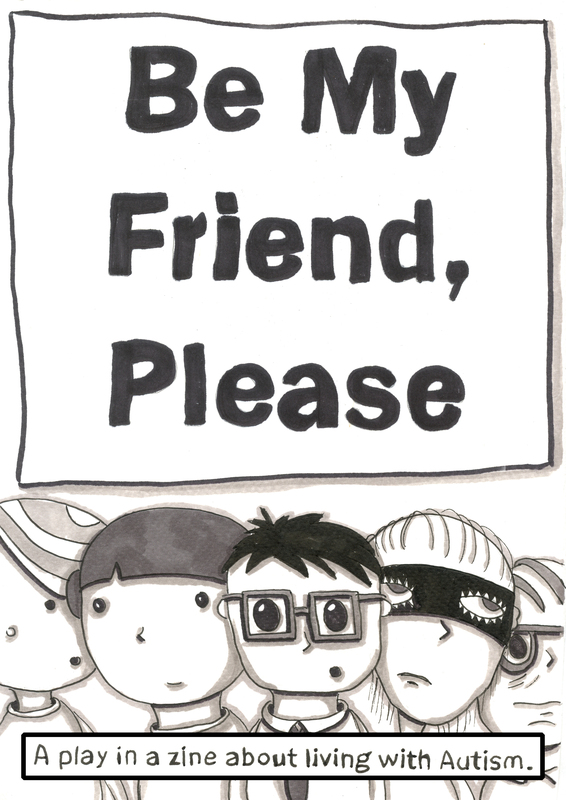 The story tackles friendship and asking for help. The zine itself features illustrations and instructions on how and where to act out the story (but as with the other performances in the mini-zine series, you can do it wherever you please). 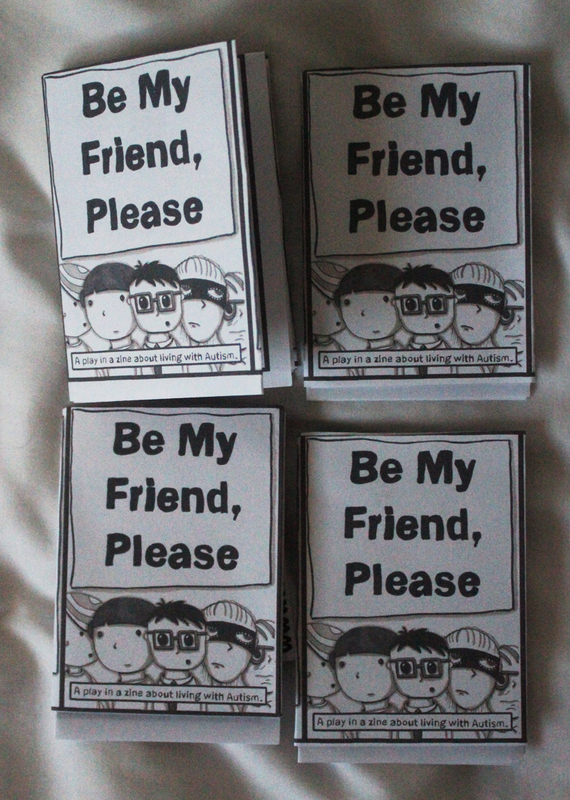 Be My Friend, Please is the third performance in the Do It Theatre mini-zine performance series and will be available at various venues during the Edinburgh Fringe 2017. Check on twitter to stay up to date with where and when.